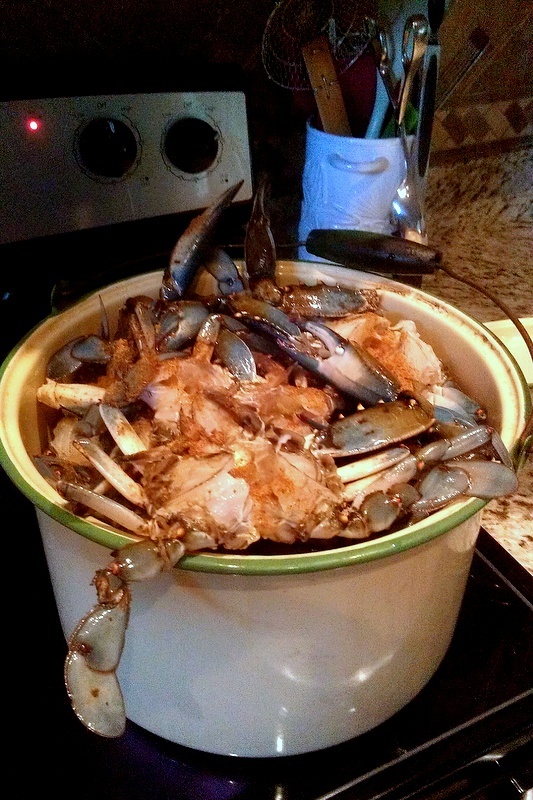 We have a lot of things in our water….luckily all very delicious! 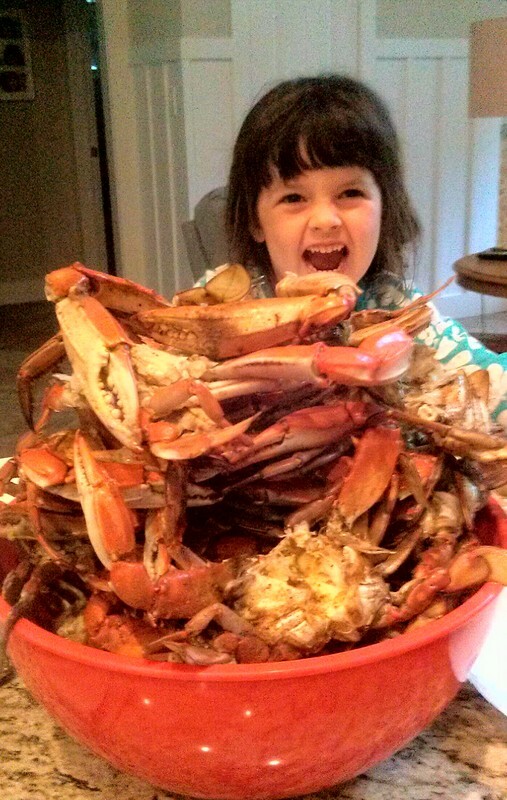 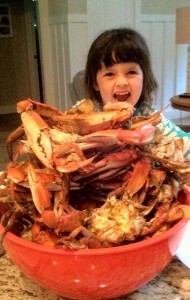 Jumbo crabs and monster trout have graced our dinner table this week….in fact we’re steaming and grilling right now! 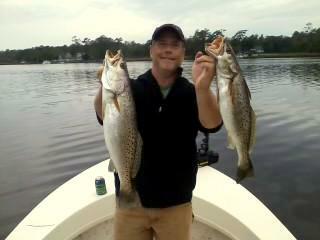 Blair, Scott, Bill and Corey have all had the fishing Gods smiling down on them this week and we’ve been eating good in the neighborhood 🙂 Our pots (literally) runneth over……you guys keep catching and we’ll keep cooking!